What Is Your Favorite Mad Men episode? Tonight Mad Men returns for the first half of its final season. Matt Weiner’s series put AMC in the market for making serious and intelligent TV series and revolutionized the format of cable dramas. So for today’s question, I thought I’d ask what’s your favorite episode of Mad Men? There are plenty of great episodes but I think the season 4 episode “The Suitcase,” which focuses on the relationship between Don and Peggy, is the best. A few of my other favorites include “Shut the Door. Have a Seat,” “Nixon vs. Kennedy,” and “Tommorowland.” But what about you? Man that’s a tough question. 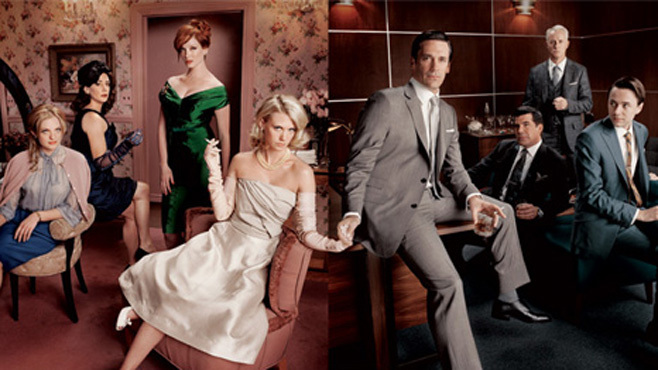 I struggle to remember individual episodes of Mad Men, they seem to blend in together. The Suitcase is an excellent one though. I always remember individual moments rather than episodes. A lot of the episodes do flow together very well. The Suitcase really stands out and it’s the Mad Men episode I think is strongest. There’s not a single episode of this show that I don’t like, so it’s a tough choice, but I love “A Man Walks Into an Advertising Agency,” “Shut the Door. Have a Seat.” and “Meditations in an Emergency.” “The Suitcase” is a great one too, I know that’s the favorite for a lot of people! I don’t think there’s a single bad episode as well. “Meditations in an Emergency” is an excellent pick.